But, I’ll be right beside you keeping you dry. 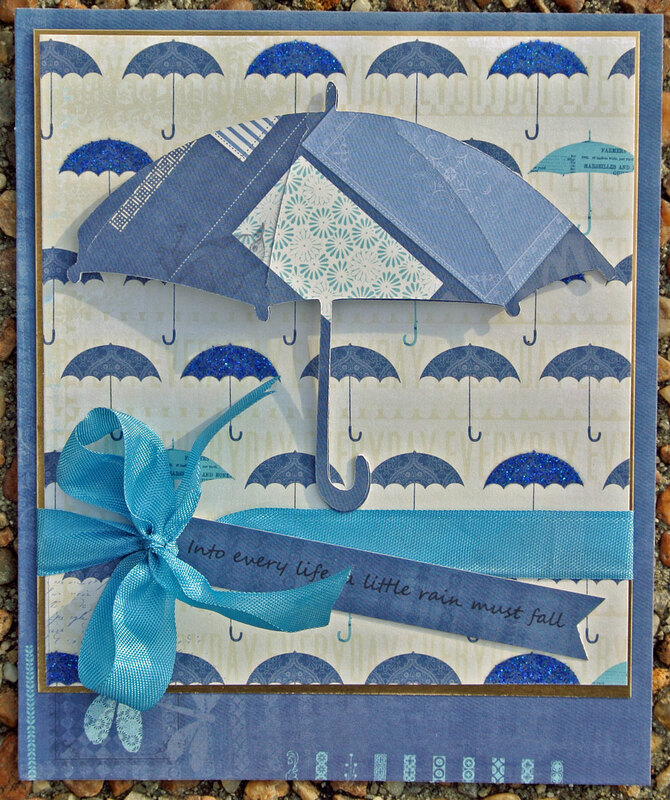 I love, love, love the umbrella print found in DCWV’s brand, new The Juniper Berry 6×6 Stack found at Jo-ann’s. I wanted to use it right away, so it became the focus of my rainy day card. I matted it with a gold sheet from The Foiled Cardstock Stack to draw out the undertones of the patterned paper. Then I found a matching umbrella on the Cricut A Child’s Year cartridge. I cut two images and pop dotted the top layer to give it some dimension, but I used glue to adhere the handle portion. And with a little ribbon my card is ready and waiting for a rainy day. Make sure you check out all of the new wonderful DCWV releases! I love this card – the print is amazing – and your umbrella is perfect. Wonderful sentiment, ribbon, and touch of gold!!! Love love love this card Sara! I love every DCWV and that new Juniper Berry is on the top of my wish list! Happy to see it in action 🙂 Now I want it even more!